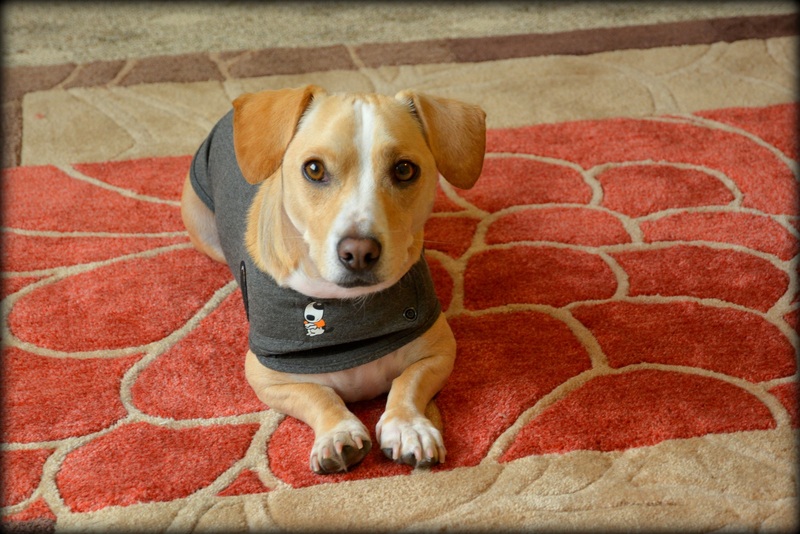 Can the ThunderShirt Cure Your Dog’s 4th of July Anxiety? Does your dog howl or hide when 4th of July fireworks go off? Does he cower when thunderstorms hit? Does he dread the car and even have accidents on car rides? Can he not stand when you leave his side and destroy things while you’re gone? 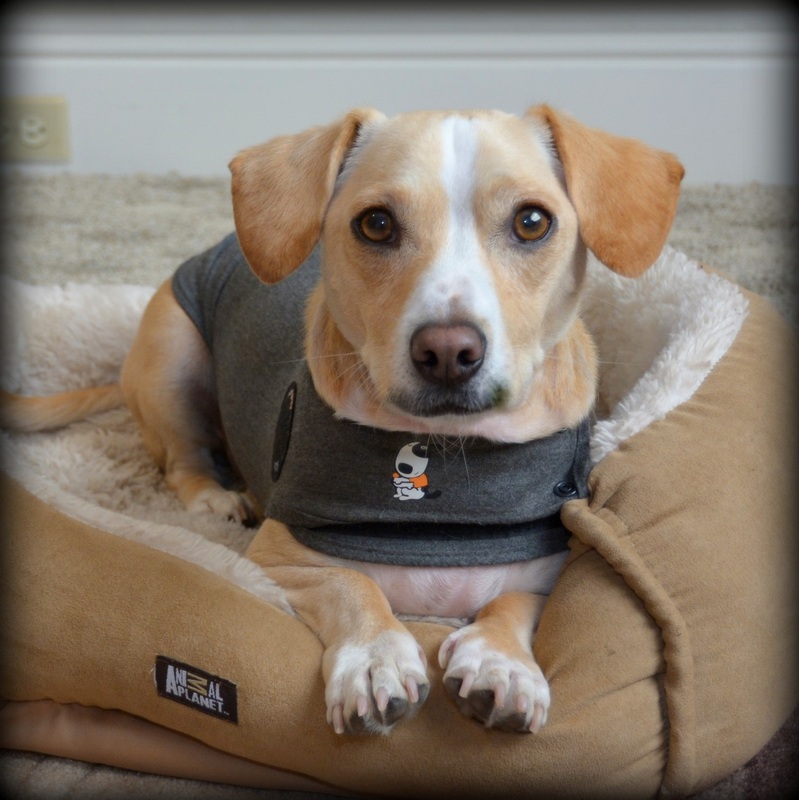 If you answered yes to any of these questions, the ThunderShirt might be for you. If you’ve never heard of the ThunderShirt, it is often compared to swaddling a baby—it applies gentle, comforting pressure in key spots, thereby calming your dog’s nerves. It is a low-cost, drug-free option for pet owners with an anxious dog or cat. The company says it works for more than 80% of pets—based on customer reviews—for issues ranging from separation anxiety to people shyness to problem barking. The company even offers a money-back guarantee if it does not work for you. But did it work for us? We took a trial run to see if the ThunderShirt might work for you this 4th of July. 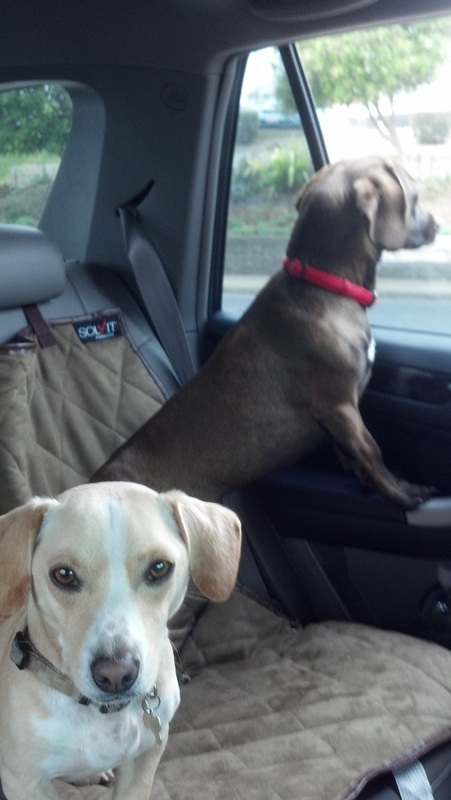 Yellow Dog was nervous in the car prior to ThunderShirt, unlike his brother Sundown. We adopted Yellow Dog at five months old and he was a skittish dog from the start. He pooped in the car within a minute of driving away from his foster home. He’s never been relaxed on car rides; he never lies down and sleeps like Sundown but instead sits and stares at us the entire drive, even on long road trips. He is also sensitive to loud noises—like fireworks or strong thunderstorms. We’ve already detailed how the ThunderShirt works but if you’re planning on using the shirt for the first time this 4th of July, make sure you know how you should act when fireworks go off. Did you know you shouldn’t yell at your dog for barking? ThunderShirt offers some training tips on their website to use with the shirt.